Last September, we saw a Snapchat-like beta feature in WhatsApp’s Android app that let you share photos, videos and GIFs as your ‘Status’. It’s finally ready for prime-time, and it’s rolling out to iOS, Android and Windows Phone starting today. As we noted back then, it is an awful lot like Snapchat and Instagram Stories – you can add emoji, text and drawings to your images and video, and all your contacts will be able to view your multimedia Status – well, all the ones you allow, anyway. The update expires after 24 hours, and people can reply to your posts; you’ll also have the option to mute or unmute contacts whenever you like. 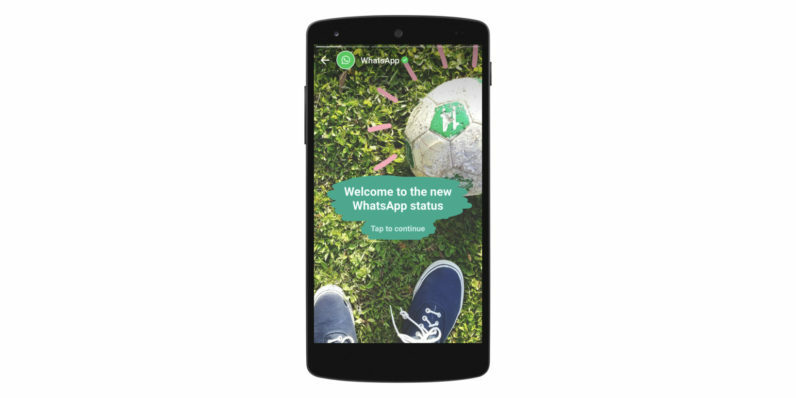 The Facebook-owned company says that the introduction of its Status feature is a throwback to the original purpose of WhatsApp when it was first launched eight years ago – to let you tell people what you were up to with a single update. At that time, messaging wasn’t even part of the service. To use the new feature, find the Status tab in WhatsApp to view your contacts’ updates and to create and share your own. If you don’t see it in the app yet, be sure to upgrade to the latest version and try again.